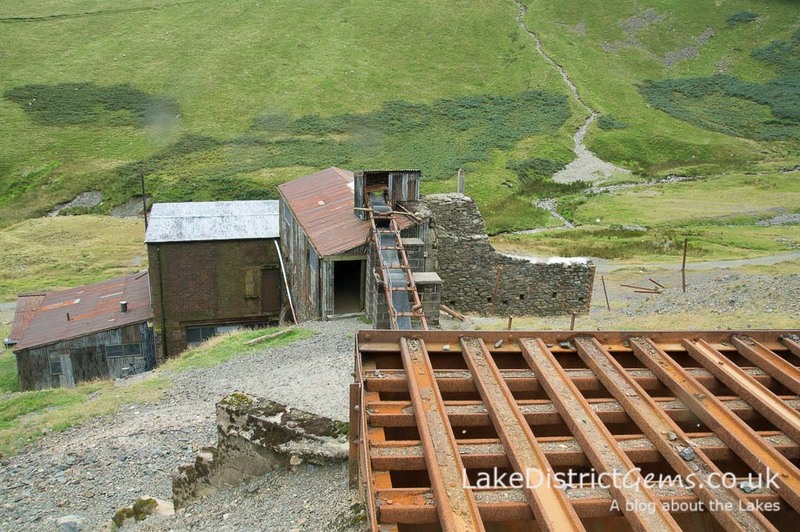 I first came across the Force Crag Mine processing mill on the National Trust website, and it looked absolutely fascinating. 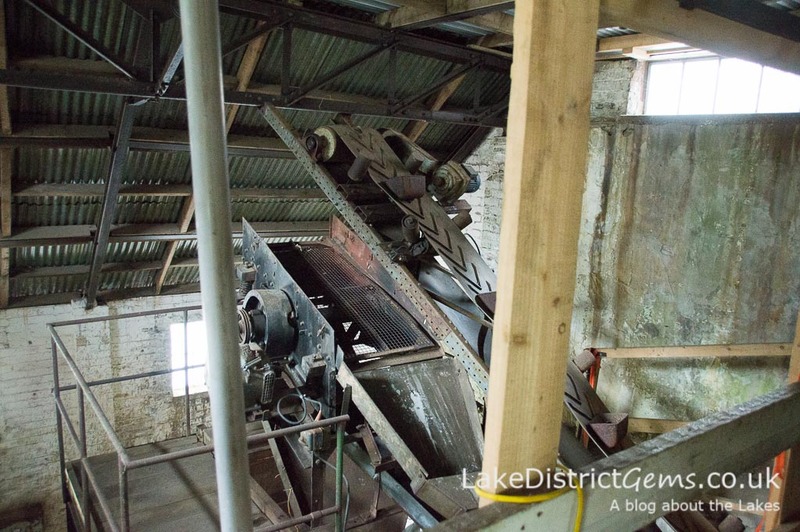 Situated at the head of the Coledale valley, the building can be seen from the outside at any time, but on just five dates each year volunteers from the National Trust open up the mill to visitors, and provide an hour-long tour of the site and the building’s machinery. 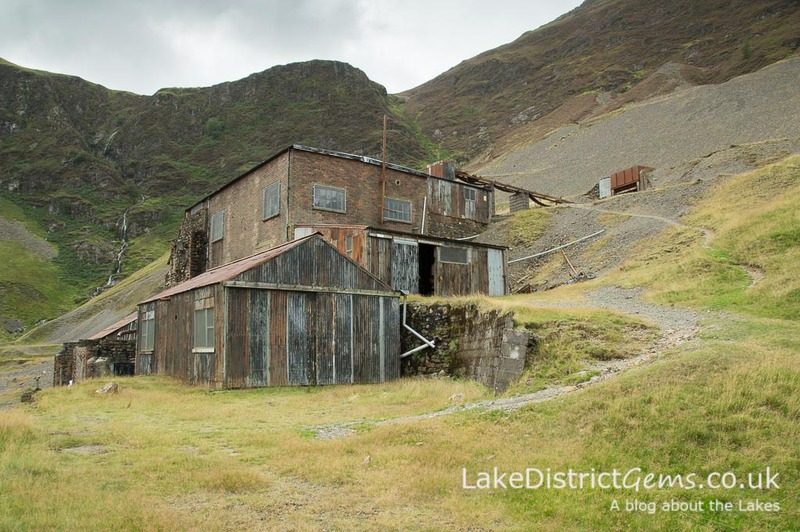 It is believed that mining first took place at Force Crag as far back as the 1500s, with large scale mining activity occurring between 1839 and 1991, at which point the operation was finally closed down. The mine was located at the head of the valley to take advantage of the veins of minerals contained in the hillsides there, and in the site’s last 152 years of operation, the main minerals to be extracted were lead, zinc and barytes (the zinc and barytes were originally by-products but later became the mine’s main output). 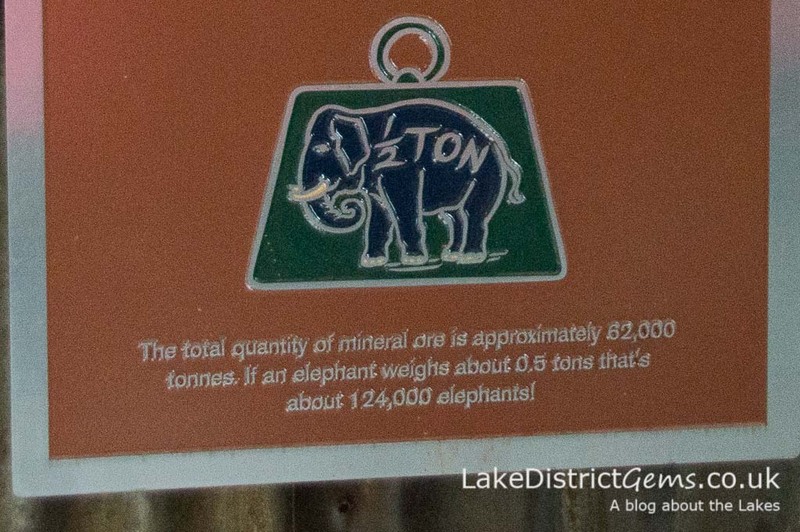 A poor quality photo, but that’s a lot of elephants! 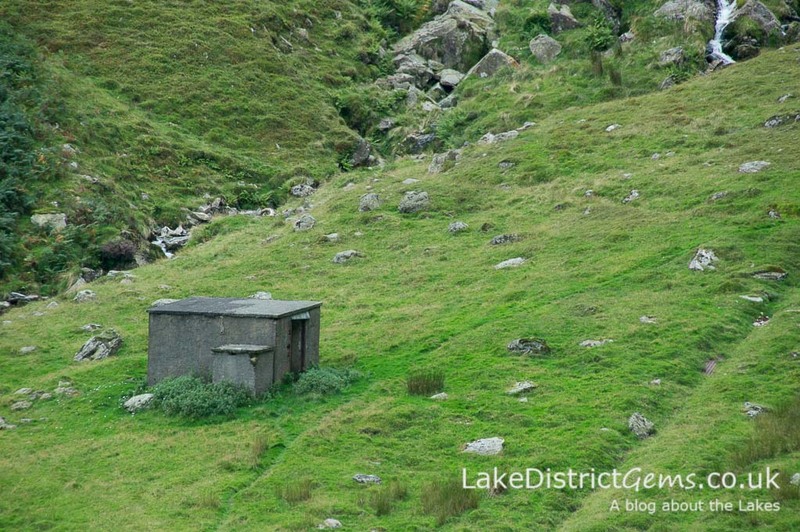 The National Trust acquired Force Crag Mine and its mineral rights in 1979, and the mine continued to operate under lease. 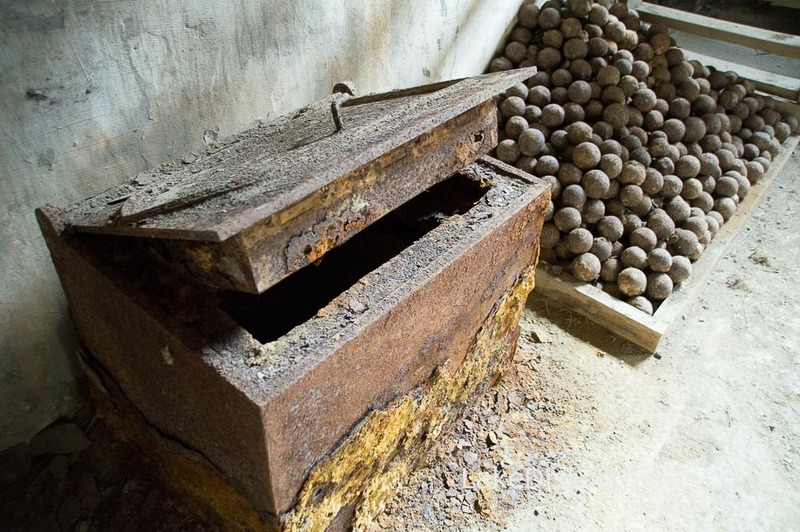 Although a lot of the machinery was sold off by one of the companies operating the mine when it closed, in 1996 the National Trust received a grant to purchase it and return it to the site. According to another of the information panels, today it looks much as it would have done when it was in full working order in 1986 – although the machinery isn’t connected, so don’t expect to see it running! 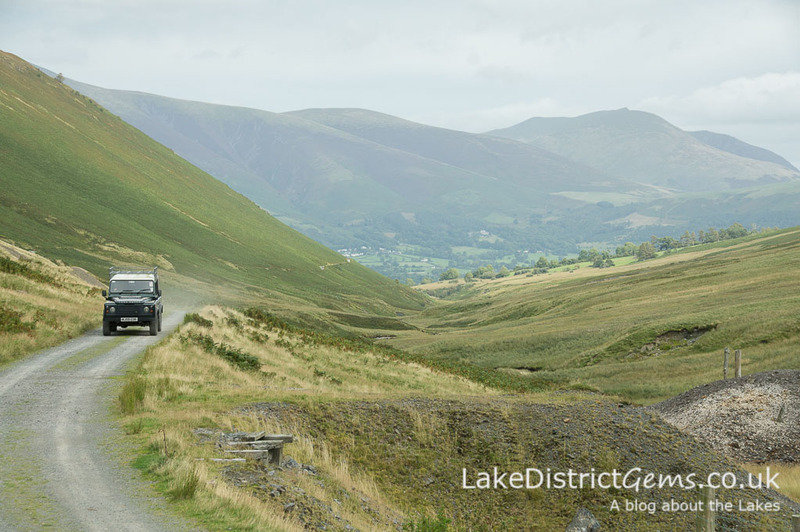 To get to Force Crag Mine, you need to travel out of Keswick and through the small village of Braithwaite onto the Whinlatter Pass. 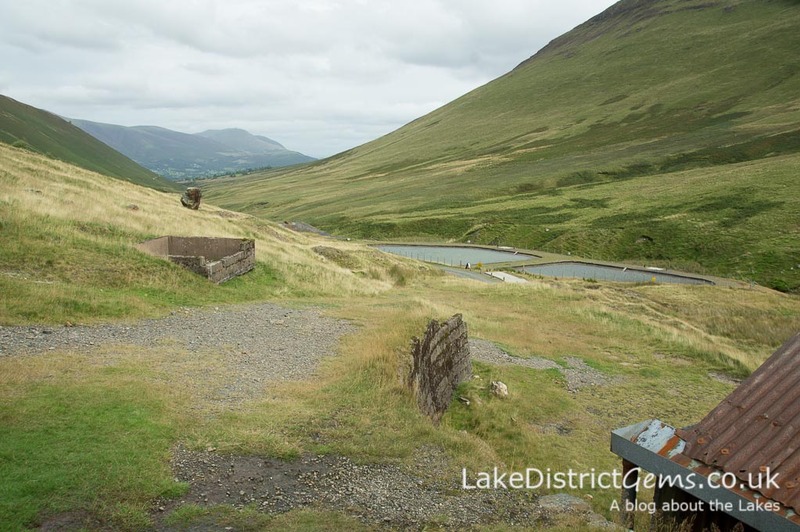 The Lake District National Park Authority gives some handy walking directions online as part of its Miles without Stiles series of walks, and the instructions suggest you start from the small quarry car park above Braithwaite, with the walk to the mine and back around five miles in total along a rough but easy to follow track. Because I visited on an official National Trust open day however, I was able to park a little further up the Whinlatter Pass in a laybay opposite the Noble Knott car park – National Trust volunteers had a pick-up point in the Noble Knott car park itself, and were busy providing lifts to the mine and back. 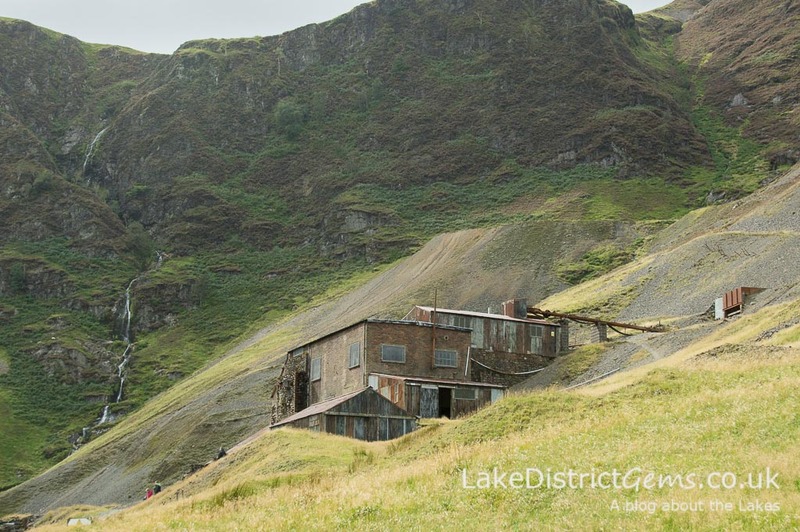 It’s a real bonus for those who can’t or who don’t want to do the walk, but who would still like to see the mine site and mill. 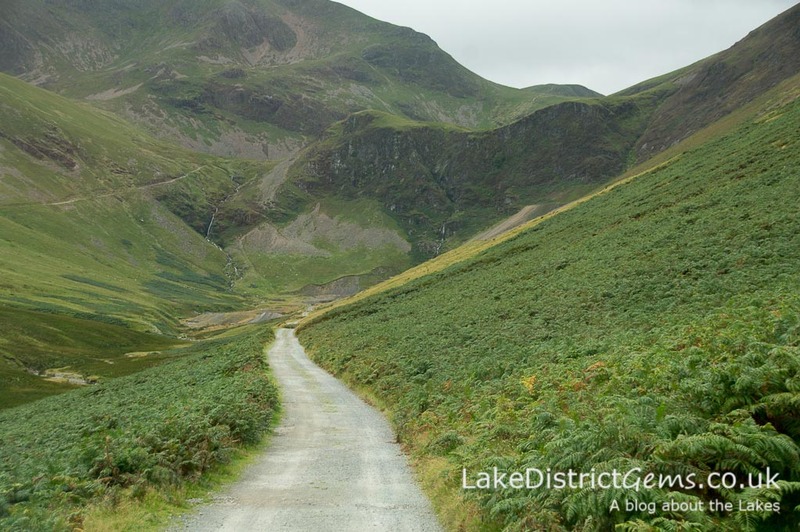 The views as we made our way up the Coledale valley – following the meandering Coledale Beck – were incredible, with the light constantly altering with the movement of the clouds. As we reached the head of the valley near to the mill site itself, the surrounding hills became really menacing, and it felt as though they were closing in on all sides. 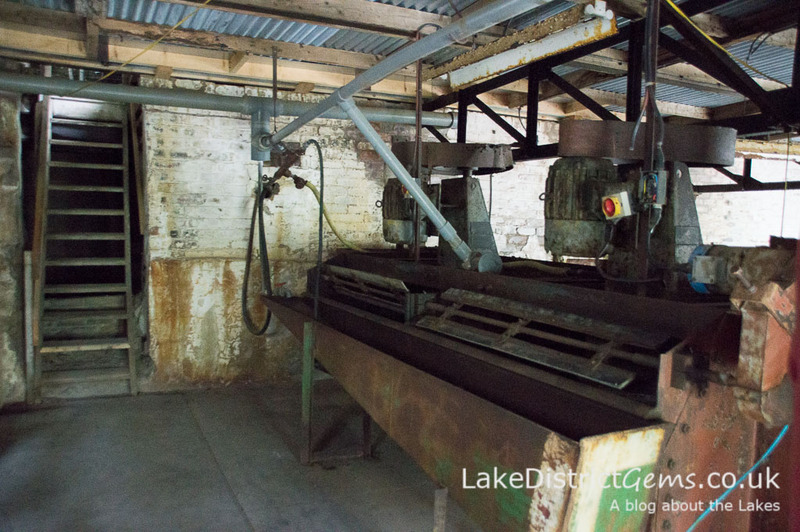 The processing mill, built into the hillside on your right hand side, certainly isn’t something you would describe as beautiful, but it is an imposing sight. 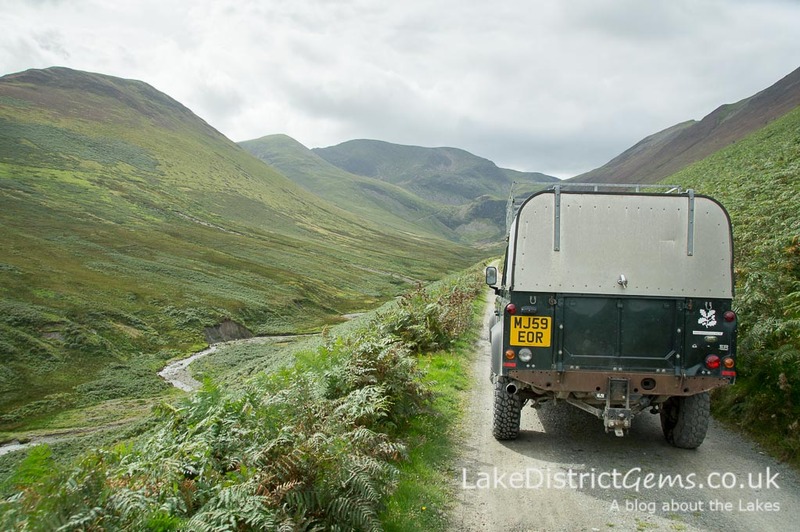 It’s also a reminder that the Lake District is far from the natural landscape we sometimes like to imagine, and that it has a rich industrial past. I’d just missed the start of a tour, so spent some time chatting to the volunteers and soaking up the atmosphere of the place. Considering how pleasant the weather had been when we started out from the car park below, the wind at the top of the valley was, whilst invigorating, utterly relentless – it’s easy to see how walkers who don’t prepare properly for the Lake District’s fellside conditions quickly find themselves out of their depth and in need of assistance from local Mountain Rescue teams. 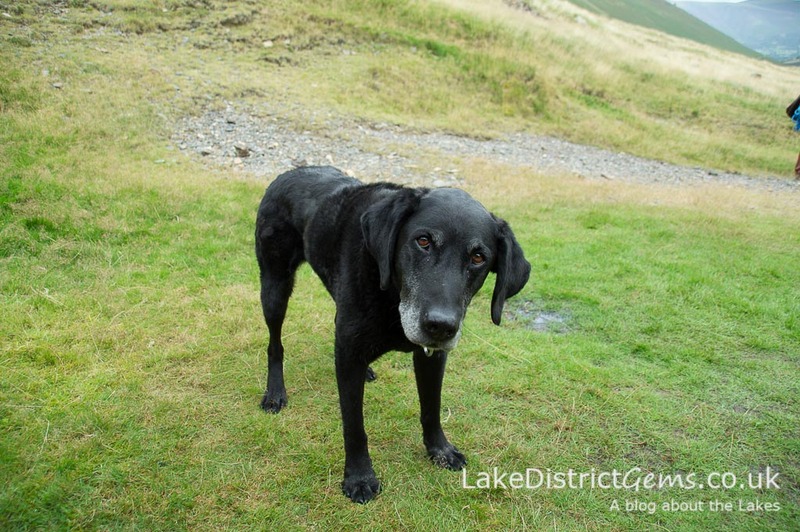 I even made a new friend, although I think she had calculated that I was the only one not to have opened my packed lunch yet – I’d already had mine earlier on! On starting our tour we made our way down past the pools of water below the mine, which are used to purify water running through the site, and then we walked up above the processing mill to one of the mine’s entrances. 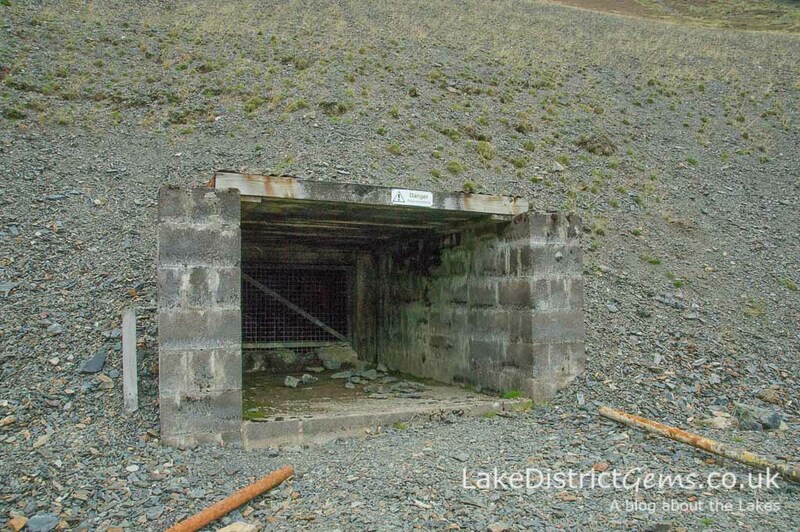 After an explanation about the various mine levels within the hillside, and how they were connected, we stopped above the ‘Grizzly Hopper’ which overlooks the processing mill, a piece of machinery covered by a large metal grid – this prevented anything too large from entering the machine itself. 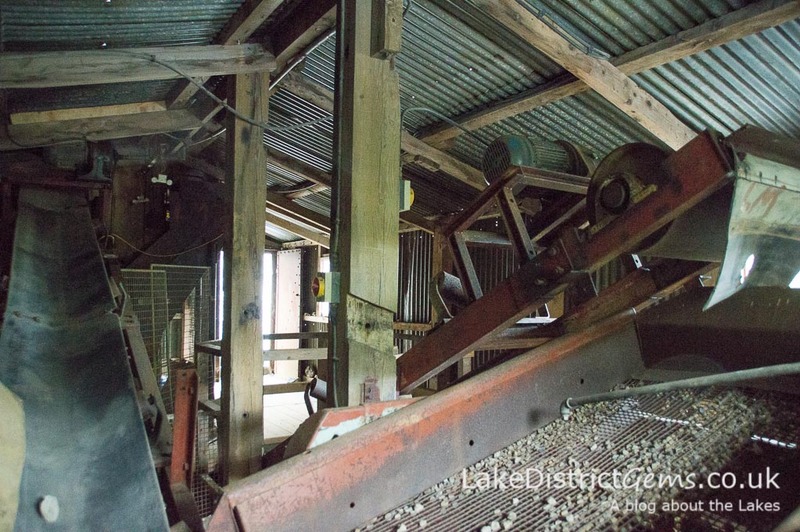 We then made our way, just in time (it had begun to spit with rain), through the top door of the processing mill and, after being supplied with hard hats, took a tour through the mineral extraction processes from start to finish. 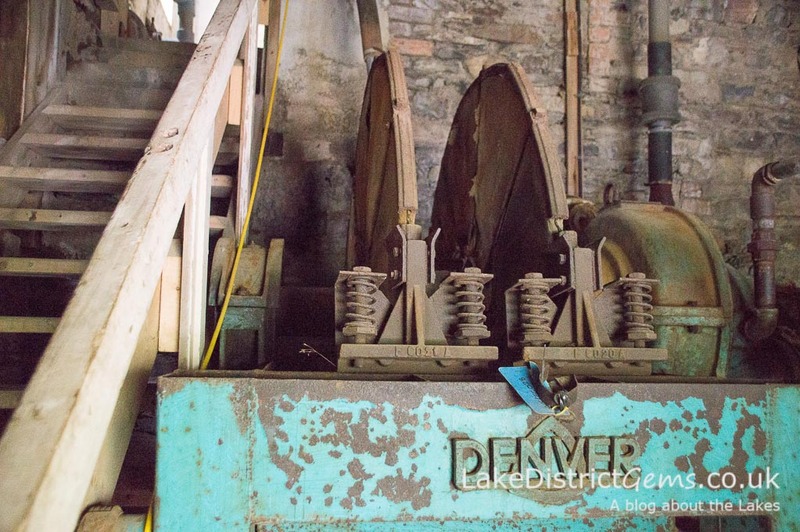 You’ve got to be fairly confident on your feet to enjoy a tour round the mill as there are a number of sets of steep wooden steps to negotiate between floors (only one is particularly difficult and more like a ladder), but the tour inside the building itself is really worth experiencing. 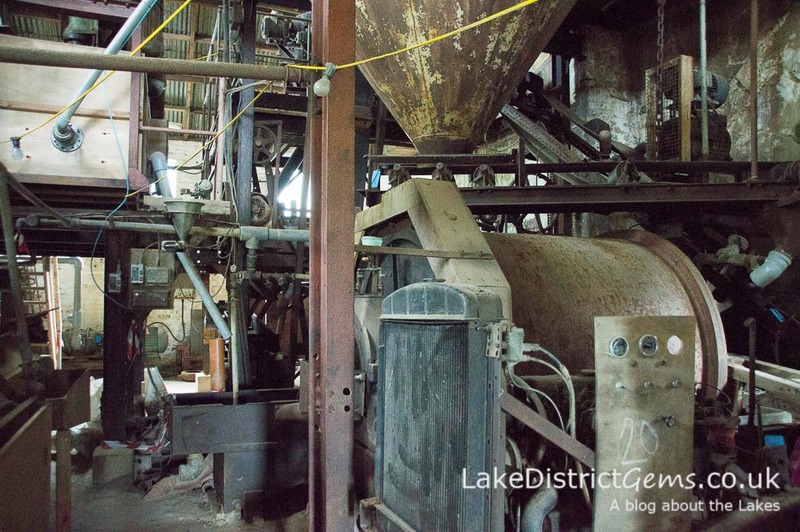 If you’re interested in the industrial history of the area, the tour guides go into some detail, but if you’re not, it’s just great to see and get a feel for the place. 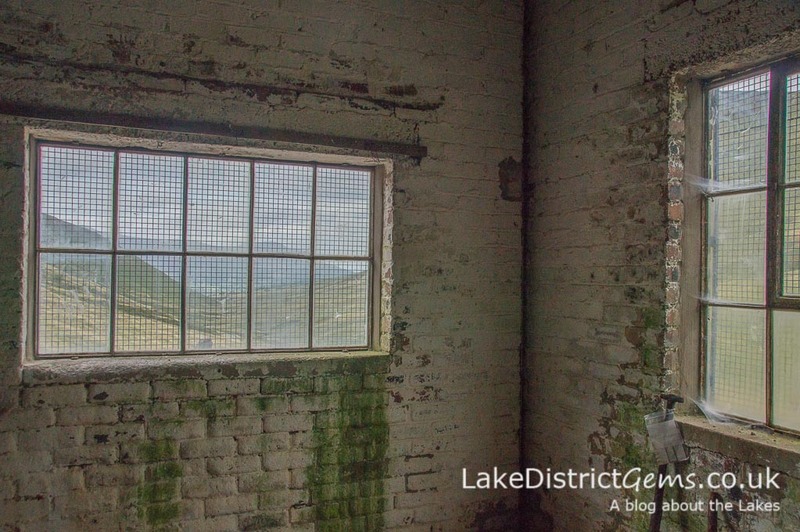 Even though it was fairly settled weather when I visited, with a few spots of drizzle, the wind could be heard howling around the building – I can only begin to imagine what it must have been like to work in such a harsh place when the weather was really bad! Several of the processes are explained during the tour – bits of knowledge from school chemistry and physics lessons came back to me during these explanations, but don’t ask me to repeat them with any degree of accuracy here! Looking down the valley from inside the mill, you can just imagine the deafening sound of the wind howling round the building on a cold winter’s day! As the tour concluded, it was almost time to join one of the National Trust volunteers for the return journey down the valley track and back to the hustle and bustle of the ‘real world’ below – it really had felt as though I was in another world at the top of the valley. 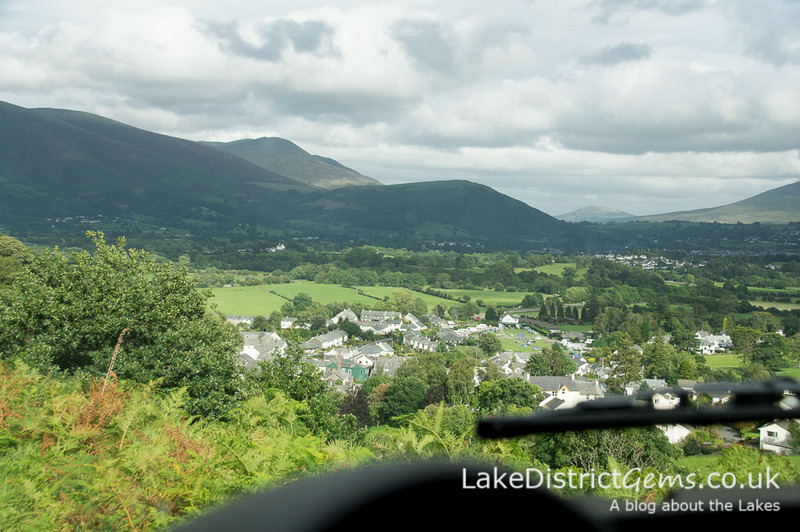 You get a great view overlooking the village of Braithwaite on your way down. 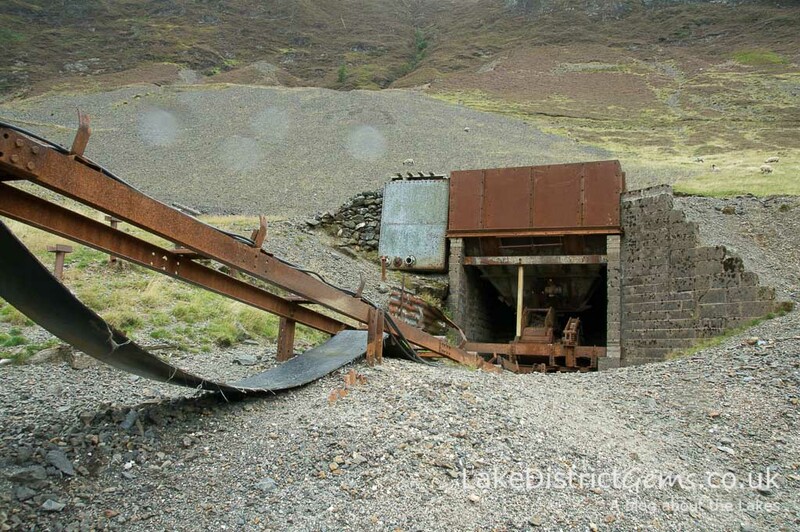 The National Trust are planning to open the Force Crag Mine processing mill on a limited number of dates again in 2017, so if you would like to book transport to the mine itself and check the latest parking and pick-up arrangements, you can visit Force Crag Mine’s online profile on the National Trust website. 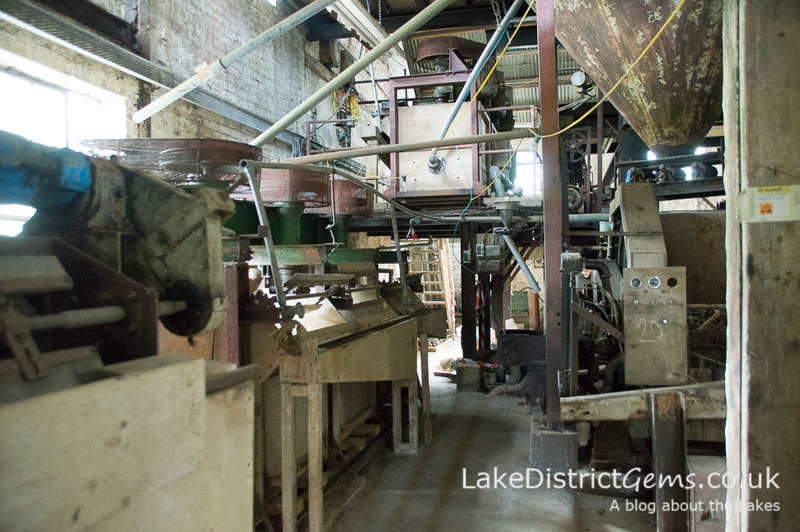 At the time of writing, a tour of the mill cost £6, and I can honestly say that the experience was worth every penny! Thank you very much to the National Trust’s volunteers for their warm welcome during my visit, as well as for making a tour of the mill possible in the first place, and providing transport to this fascinating site. 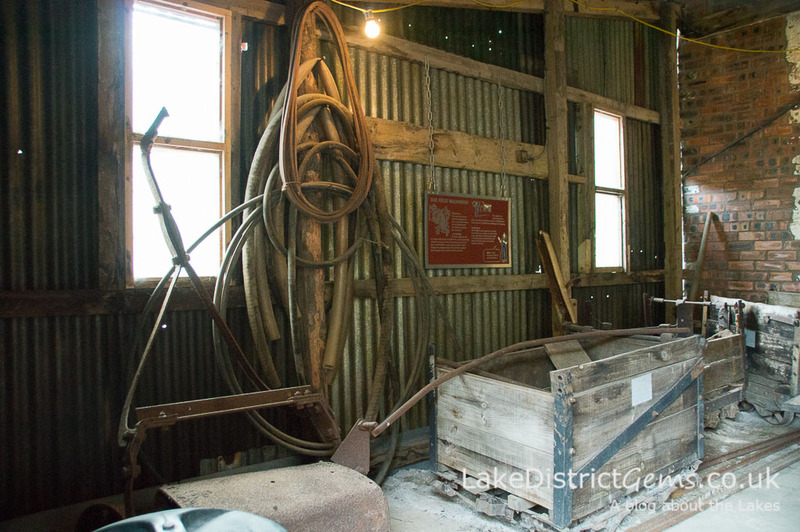 There are a number of museums and sites across the Lake District which act as a reminder of the area’s industrial past. Have you got a favourite that you would recommend? If so, share your experience with other readers (I love to hear your thoughts too!) by leaving a comment below. 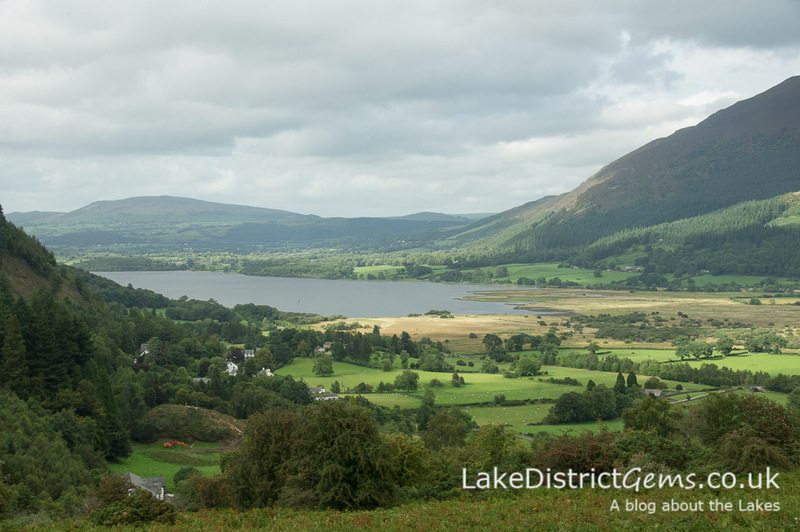 It’s been really great to explore more ‘hidden gems’ in the North Lakes this year, and I really hope to do visit again soon. Really enjoyed reading your account. 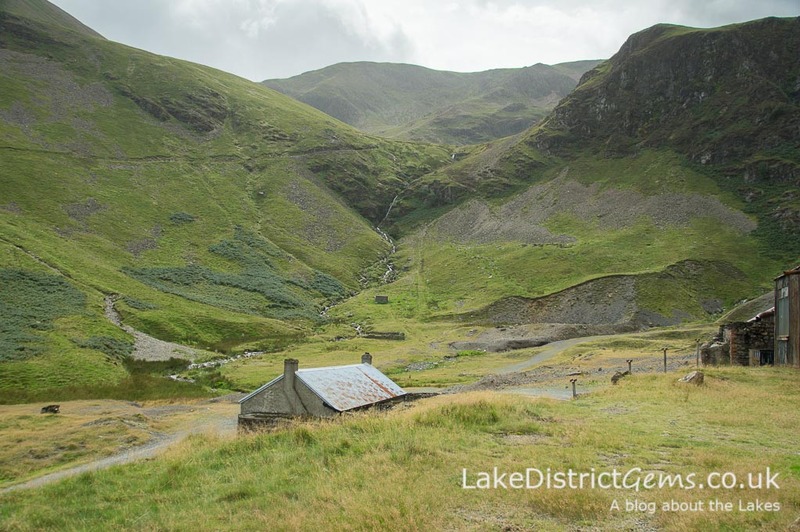 I’ve just written about Force Crag Mine myself but approaching as part of fell walk over Grisedale Pike. It wasn’t open when I was there. I only got to see it from the outside so I really enjoyed your photos. I’ll have to get booked on a National Trust tour next year. Thanks for commenting, George – it’s great to hear you enjoyed the post! Yes, I’d really recommend the tours – it’s a fascinating place, isn’t it?! I will take a look at your article, as although I don’t really walk much myself, I’d be very interested to see the route you took.